Successful hotels cater to the comfort of each guest. That means making each room cooler or warmer, depending on what the customer wants. Multiply that by tens or hundreds or even thousands. It makes for a very expensive energy bill each month. That’s why smart hotel owners in Oregon are using window tinting to cool rooms or reduce the amount of heat loss by as much as one-quarter. In terms of energy bills, it can amount to a five percent savings over the course of a year. Consider a hotel with over 900,000 square feet and AC costs exceeding $1 million a year. What if just by installing window film the hotel could cut the cost of cooling rooms by 10 percent? The hotel would save $100,000 yearly. It wouldn’t take long for our hypothetical hotel to recoup the costs of window film installation. Could your Portland, Oregon hotel reap savings like that? 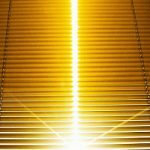 We can help you explore the possible benefits of window film with an energy analysis. Saving depends on many factors and we have software that provides a cost-benefit analysis. Contact us for more information. Tinting does more than reduce energy bills. It also blocks UV rays that fade drapes, art, upholstery and other hotel furnishings. This reduces your replacement and repair costs. Window tinting for hotels adds to your guest’s comfort. It blocks the amount of heat that enters the room so the space stays more comfortable. Your customer doesn’t automatically reach for the thermostat to turn up the air conditioning. In winter, the room stays warmer longer. People in your hotel rooms don’t have to turn up the heat to stay snug. Of course, this is a plus for you because guests are less likely to leave the air conditioning on high when they leave the room in summer, or turn the heat up in winter. The tinting also cuts glare. Guests can watch television and look at laptop screens without dealing with the glare of the sunlight. They can enjoy the view from rooms with scenic views without squinting. It’s like window-wide polarized sunglasses. There are several types of tinting materials available, perfect for the varied needs of a hotel. Here is a look at four of them. Solar film. The focus of solar film is energy efficiency. It helps balance the temperatures throughout the hotel, at the same time that it reduces the consumption of energy. Decorative film. Hotels can add pizzazz to the exterior of the building with decorative films. They can be customized with logos, graphics, colors and frosts. Security film. Though often used by businesses in areas where smash and grab crimes are common, they can also benefit hotels. Graffiti protection film. If lower parts of the building are constantly the target of graffiti vandals, protective film is the answer. If the film is spray painted or otherwise defaced, the film is simply replaced. It is much less expensive than replacing windows. Pacific Window Tinting has been helping hotels and other commercial properties since 1998. Over the years, we have earned a reputation for quality work and attention to detail. Pacific Window Tinting is a family-owned business that takes pride in meeting and exceeding expectations with each job.